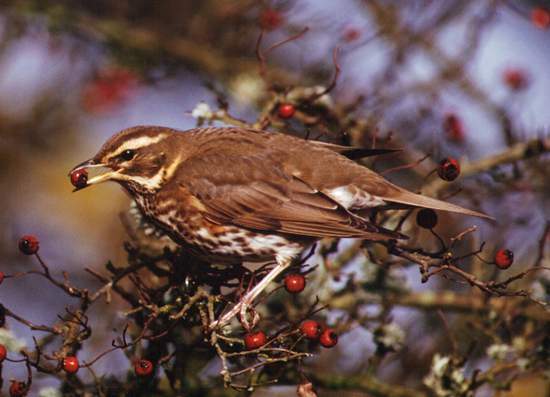 The Redwing, a member of the thrush family, is a winter visitor to Britain. The male and female are very similar in appearance. The chestnut red flanks and the yellow flash above the eye help distinguish the redwing from other members of the thrush family. 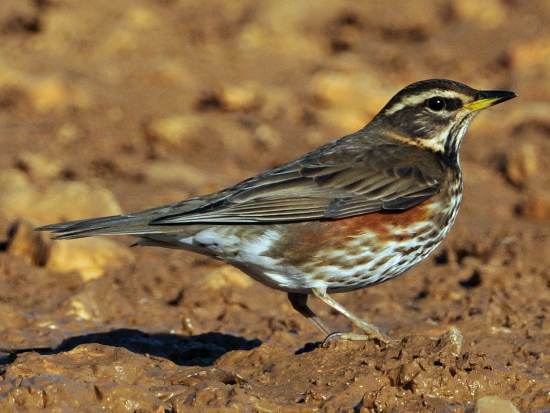 The spots on the breast of the Redwing are more elongated than those on other thrushes. Although mainly a bird of open countryside, the Redwing does occasionally visit rural gardens, where it feeds on worms, insects and berries.